Virtual On is great. Its return, a blessing. But also a curse! See, part of what made Virtual On so great in the arcades was the game's twin-stick controller. Which the Xbox 360 doesn't have. Even the Dreamcast version had a nice twin-stick peripheral for home use, but on 360, you're stuck using the control pad. Which might make things difficult. Oh, unless you're this guy (or somebody who follows his lead). 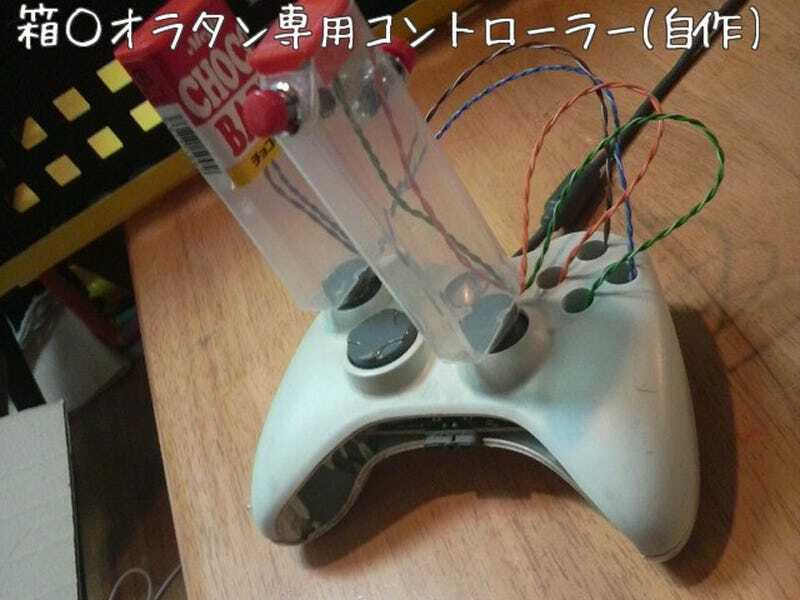 Two candy sticks, some buttons, a quick wiring job and you're good to go.